This is the third location for Deeana and Ed, owners of the Dark Horse Empire. A month ago, I did a spotlight on Detour Roasters, and as one of their biggest clients, it's safe to say that Detour gets to grow as well. Occupying the happening corner of Euclid and Queen means bumping out the fruit stand and hoping that it's the destination of choice for the fashion district heads. Incorporating elements that have been trademark editions of Dark Horse, only makes their mark on the indie scene more prominent. Many have said that they've created too many locations and that they've sold out. I see the opposite. With the communal table taking up the front section, and smaller quint tables along the side, it's the vibe that sets apart this location. 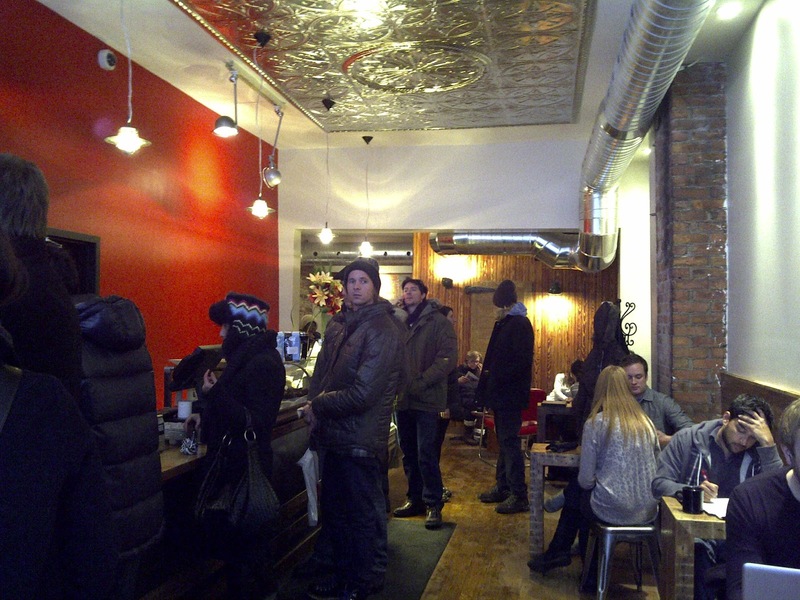 With constant buzz and chatter, it's more a location to mingle with a mix of the young and old fashion focused clientele.At Spadina you'll see more design minds with their Macbook Pros, or quiet readers in the back. At Broadview location with its mixed crowd, you'll see some business meetings going down, or just the neighbourhood love that comes in and out. 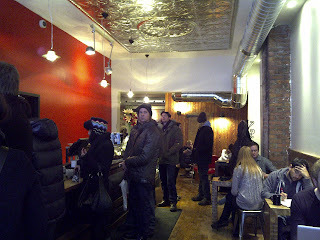 Queen W location will have to rise above and please the transient crowd. 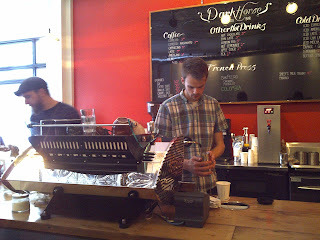 On this visit was a double pleasure; new machine, new grinders, and a new custom espresso blend from Detour. 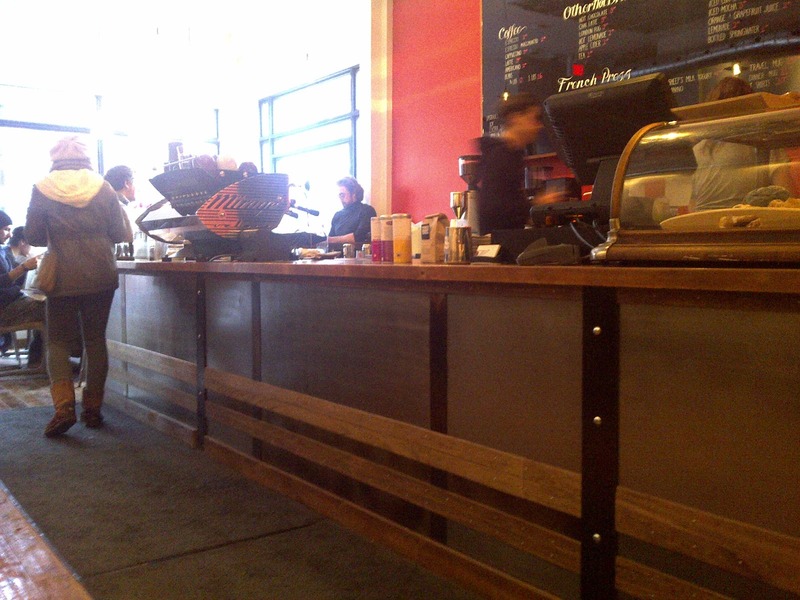 Switching it up for the new year meant switching from the Single-Origin Brazil. 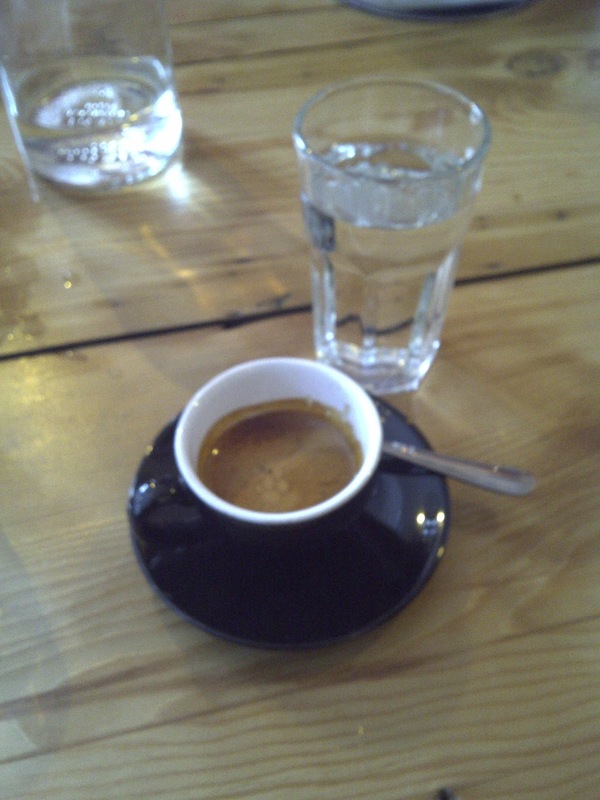 Dark Horses espresso is now comprised of 2/3 of a pulped natural Brazil and 1/3 Guatemalan from Puerta Verde. The edition of the 1/3 keeps it more velvety nutty chocolate that I admire. 1/3 Guatemalan from Puerta Verde. Verdict: Bright with cherry tones and smooth velvet chocolate finish. Thanks for pulling the amazing shot @derekjohnston33. Dark Horse has successfully created a brand for Toronto, but has kept that independent community feel. So why should we be harping on them for having 3 locations? They've created a model that works, and consumers enjoy quality coffee from quality roasters and farms. I say that we need more independent cafes supporting local roasters, and making headway for the specialty coffee scene. With every new customer comes and opportunity to educate and create that love from green bean to cup mentality. Watch for new changes in the spring, patio weather on the vacant space..... I smell something in the works. Major competition happening on Queen W at Bathurst. LIT, Dark Horse, Quaff, Niche. Squirrel. - Let's get this movement of indie pride rolling. What do you think Espresso World?